Earlier today we saw the Renault Kwid Concept, and now Renault has unveiled another new vehicle that may be on our roads by 2020, the Renault Next Two. The Renault Next Two a self driving vehicle that Renault is using to showcase its self driving technology, the vehicle is in the prototype stages at the moment. Renault is looking to launch their first self driving car by 2020, have a look at the video below, the vehicle uses a range of sensor to collect data which is then processed by an on board computer. NEXT TWO is Renault’s vision of an autonomous electric vehicle for the year 2020. 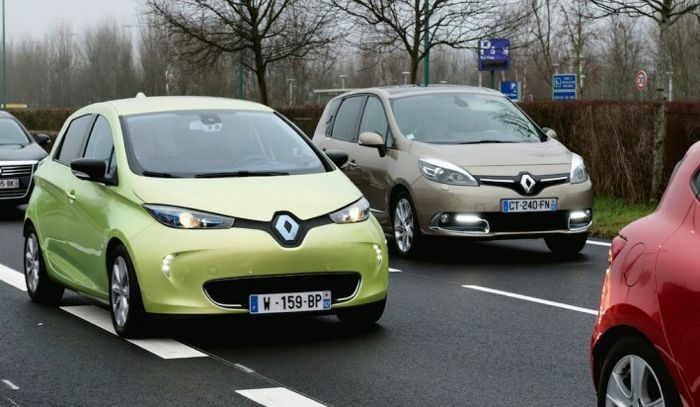 Renault links connectivity with the delegation of certain driving functions, giving motorists useful extra free time, while improving safety. It certainly looks very interesting from the video, and is a similar system to the ones we have seen from other manufacturers.